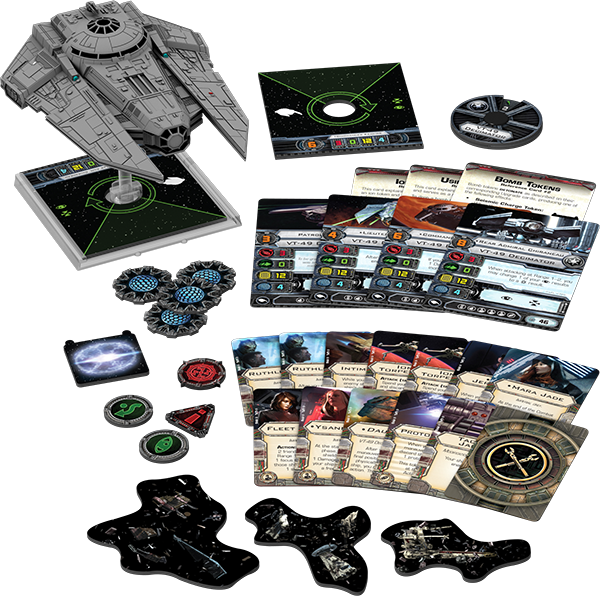 Fantasy Flight Games have released details about the next wave of ships for Star Wars X-Wing Miniatures Game and the good news is they’re not from the prequels. The bad news is that you have to be a complete Star Wars nut to recognise them. 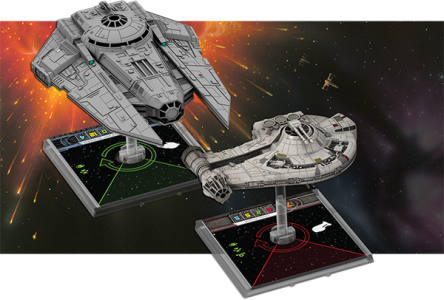 The new ships are the larger size (though that should be medium size now) models; the same size as the Millennium Falcon, Slave I and Imperial shuttle. 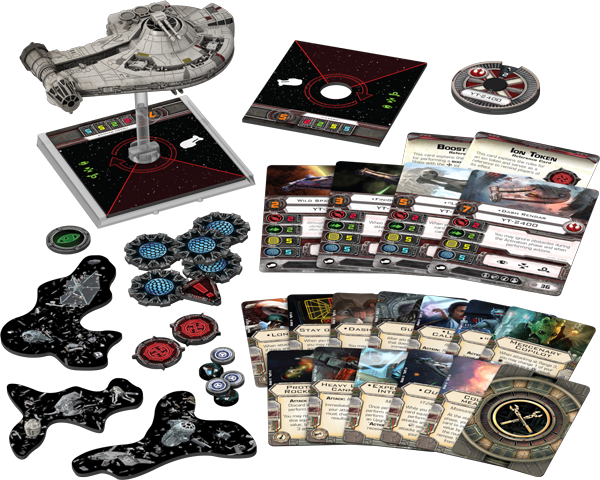 Two ships are available, the YT-2400 for the rebels and the VT-49 Decimator for the imperial players. Both ship expansions also include new space debris tokens to further spruce up your playing area. The YT-2400 is a variant on the Millennium Falcon’s chassis and was first seen in Shadows of the Empire. If you look very closely you can also see it in the digitally fiddled with version of Episode IV: A New Hope. Promising options for plenty of weapons and a 360° firing arc, the YT-2400 is a fairly chunky ship offering 2 attack, 2 defence and 5 in both shields and hull. The VY-49 Decimator is a heavy Imperial ship often used as long range reconnaissance or to punch through the enemy defence line to deliver a cargo full of storm troopers. The Decimator also boasts a 360° firing arc and a shockingly sturdy 12 hull points! Unfortunately it manoeuvres like a brick in syrup so has a base defence of 0! If you’re a true Star War geek you’ll also be pleased to know that Mara Jade is available as a crew member. Wave V ships are due in the 3rd quarter of 2014.